Hold on to your hats folks, I think we just found THE iPad accessory! 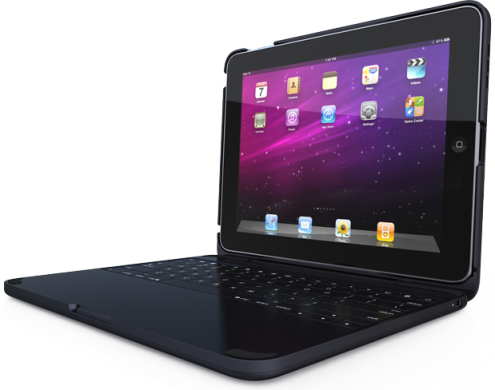 Enter the ‘ClamCase’, the versatile keyboard / case / iPad stand with bluetooth connectivity giving you the ultimate tablet / netbook device. 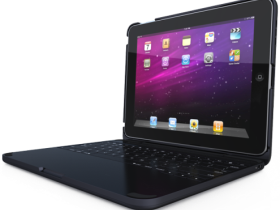 With full QWERTY keyboard and 14 function keys specially designed for the iPad this is the accessory that every iPad owner has been waiting for. Use it in normal keyboard form as a not so sleek macbook, flip the keyboard 180 degrees and use it as a stand to watch your favourite movies or play your favourite games. Or close it up completely to protect your iPad from whatever the world might throw at it. Retailing at $119, you can currently pickup a special $99 voucher from the official ClamCase website. Although still not officially launched, they are taking pre-orders with an expected delivery date of January.